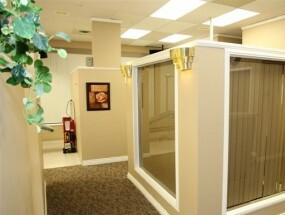 Meadowbrook Dental Laser Clinic provides leading-edge laser dentistry to residents of the Fraser Valley. Located in Chilliwack, Meadowbrook Dental specializes in the use of lasers to treat a wide range of dental problems. Laser dentistry is a safe and effective alternative to the dental drill when fillings are needed. Lasers are used to remove decay and prepare teeth for fillings painlessly. Depending on the size of the cavity, lasers reduce or eliminate the need for freezing. Meadowbrook Dental provides dental surgery using laser technology instead of a scalpel. Lasers are very effective at speeding up the healing process. Our patients experience less post-operative pain and virtually no bleeding. Meadowbrook Dental uses lasers for Biostimulation, a post-surgery treatment which delivers healing energy to the affected area in the form of light. Biostimulation is a fast, effective way to speed healing, reduce swelling and relieve pain. Our patients feel more comfortable and recover more quickly. Biostimulation is also used in the treatment of jaw joint problems. Owned by Dr. Don Utas for the past 17 years and specializing in laser dentistry for the past five, Meadowbrook Dental Laser Clinic is a unique practice in the area. Patients come from Chilliwack, Abbotsford, Lillooet, Mission and Hope. The dental operatories are all designed to maximize patient comfort and reduce stress, particularly for children and for anyone who is normally fearful of the dentist. Children and adults are perfectly comfortable watching television while wearing headphones and controlling the remote during their procedures. The waiting room has a play area with a Brio wooden train set for kids' enjoyment. Meadowbrook Dental has one dentist, Dr. Utas, one dental hygienist, two certified dental assistants (CDAs) and two front office staff. Hours of operation are Monday to Thursday from 8 am to 5 pm, and Friday from 9 am to 4 pm. Owned by Dr. Don Utas for the past 17 years and specializing in laser dentistry for the past five, Meadowbrook Dental Laser Clinic is a unique practice in the area. Patients come from Chilliwack, Abbotsford, Lillooet, Mission and Hope. The dental facilities are all designed to maximize patient comfort and reduce stress, particularly for children and for anyone who is normally fearful of the dentist. Children and adults are perfectly comfortable watching television while wearing headphones and controlling the remote during their procedures.